The 59th Roman Wall show was held at the picturesque venue of Steel Rigg near Twice Brewed in Northumberland on Saturday June 15th 2013. 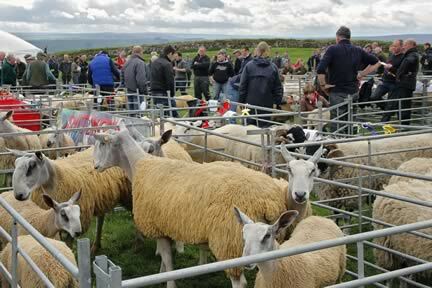 Some of the best sheep to be seen in the North of England were on show at the 59th Roman Wall Show, with 49 mule ewe lambs exhibited in the class for lambs from a Blackface ewe. 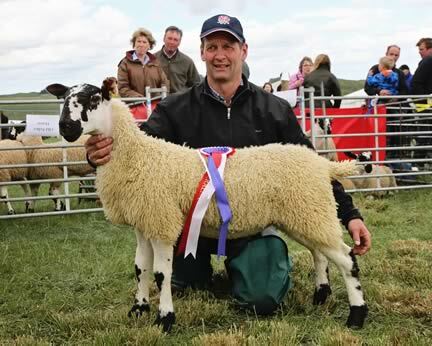 Robin and Martyn Archer, Low Carry House, Wark, Hexham took the supreme championship with a greatly admired mule ewe lamb being awarded the championship by judge Alan Alderson, Barras, Kirkby Stephen, Cumbria. The champion was sired by Carry House Redgate 281/D18 and out of a Blackface ewe - this is the first time in the show ring for the lamb that will now go on to compete through the summer at Gilsland, Penrith and Bellingham shows. The reserve supreme championship was awarded to a 4 shear Swaledale ewe from the Collinson family, Billingshield, Eastgate, County Durham. 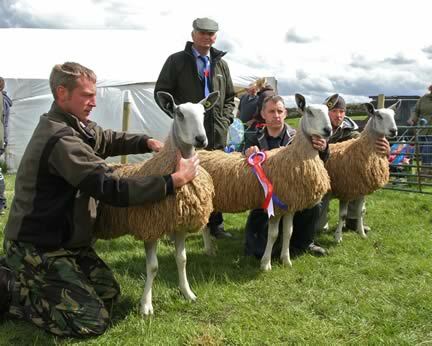 The champion group was awarded to the Bluefaced Leicesters with three from the Belgrave flock of Oliver Scown, West End, Wolsingham, County Durham. Margaret Telfer, Demesne Farm, Bellingham, lifted the Texel championship with a ewe sired by the 18,000gns Allanfauld Rockafella. The Bluefaced Leicester leader was from C R Purvis, Halterburn, Kelso, by a Leadburnlea sire. Blackfaced champion was from D Walton of Hall Peat Moss, Melkridge, Haltwhistle, by the 5,900gns Townshields sire.